I’m a cocky arrogant muscle god that’s the total package. Slaves fall to their knees and sometimes even piss their pants in fear and in awe when they are in my presence and feel the power I have and see the actual size of me. They beg to shine my size 15 sneakers with their tongues and make sure to lick every single piece of dirt off of them. I have no problem ramming my huge sweaty foot down their throat or bashing them with my huge alpha fist if they don’t follow my every single order. Worship me now and shower with me tributes and Amazon gift cards. Keep following my blog and read about the life of a natural born alpha stud and be ready to drool all over your keyboard. 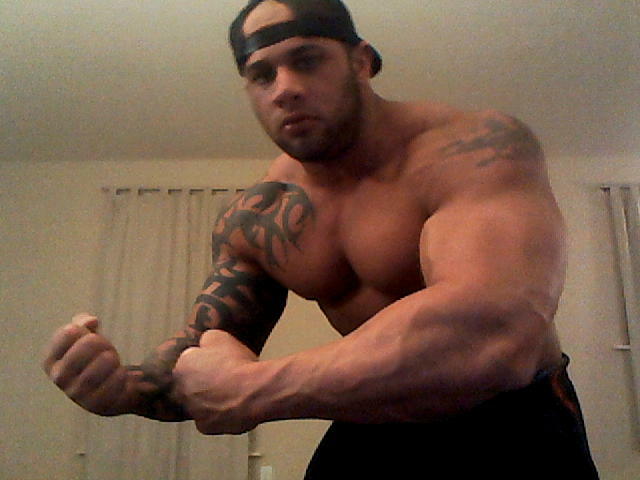 I love to bounce my huge pecs and flex my huge biceps right in a slaves face. Make sure to follow me on TWITTER which I now regularly update.